This post covers how to install Vim on linux CentOS 6.3. Vim is an alternative to vi editor. Meaning, vim is a text editor that is upwards compatible to Vi. Vim can be used to edit all kinds of plain text. It is especially useful for editing programs. 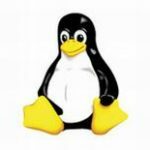 This steps may working on other linux distribution as well. When i try to edit a file using vim instead of vi, the following error appeared. How to fix this? Simply run yum install command to install vim on CentOS 6.2. This steps has been tested on CentOS 6.2. Assume that you have installed minimal installation type CentOS 6.2 and has setup your own local yum repository. You can use internet CentOS yum repository instead if you have direct internet connection to your server.